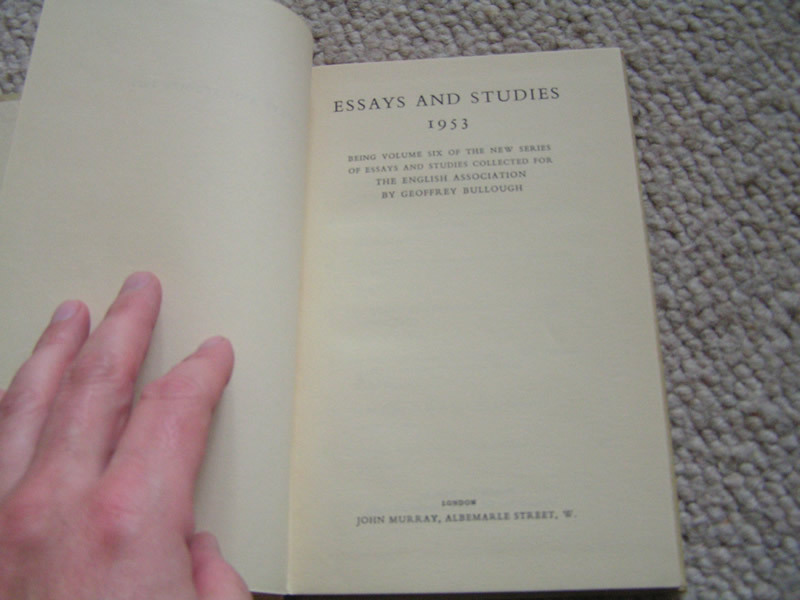 A very clean book of a scarce academic work by J.R.R. Tolkien. 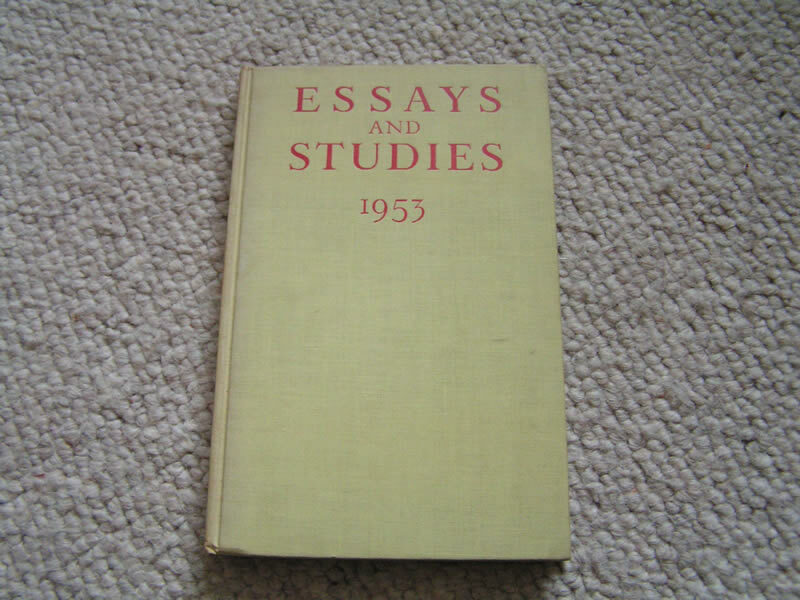 Essays and Studies 1953 1st edition stated The Homecoming of Beorhtnoth Beohthelm's Son J R R Tolkien. 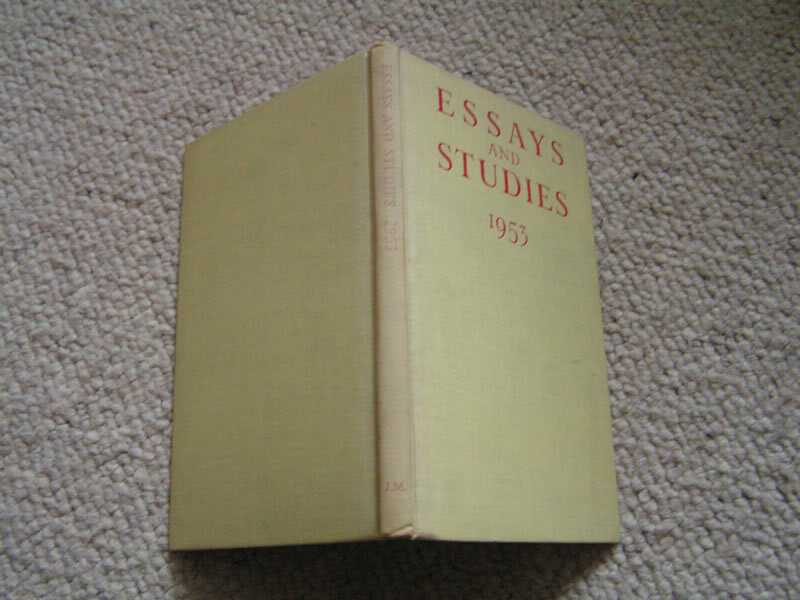 Hardback book slightly faded spine no dustwrapper but internally excellent no marks. Cream covers quite clean unlike most copies without wrappers. 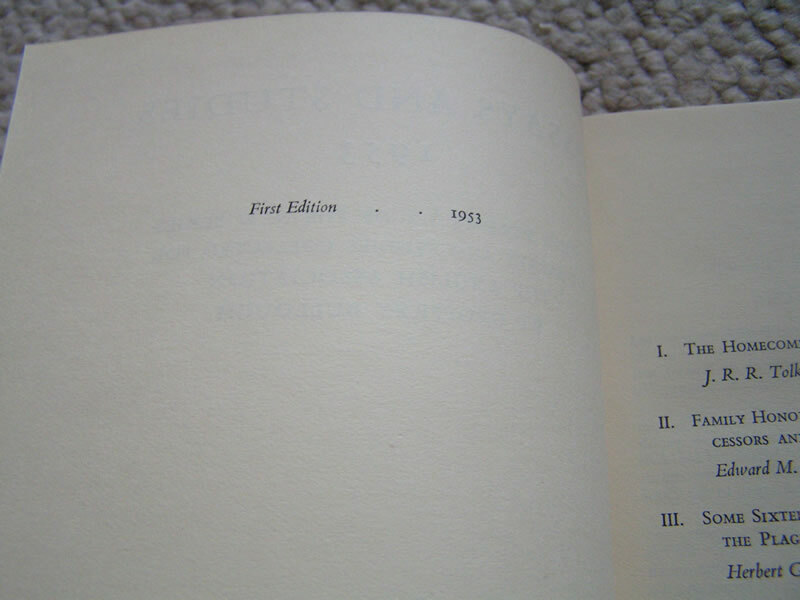 Other contributors Edward M. Wilson, Herbert G. Wright, Vivian de S. Pinto, Rachel Trickett, George Whalley and Gwyn Jones. 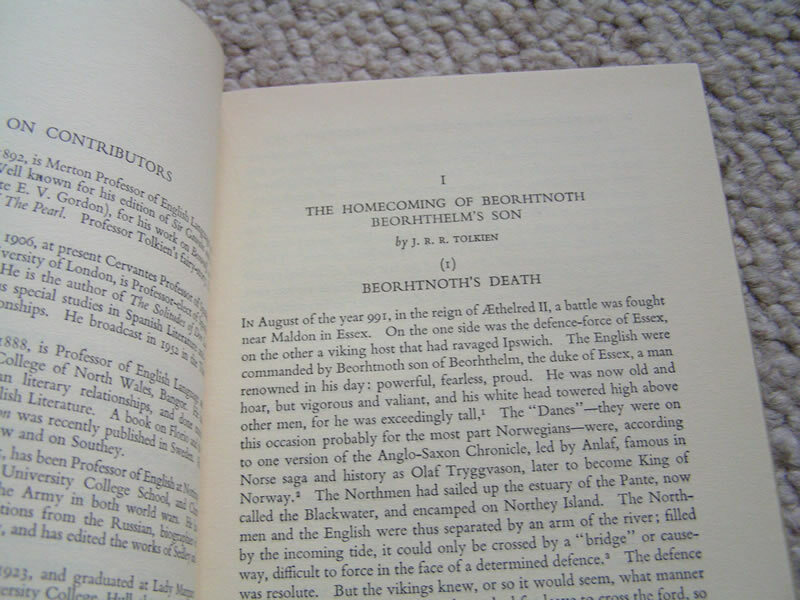 This volume contains: 'The Homecoming of Beorhtnoth Beorhthelm's Son' by J.R.R. Tolkien; 'Family Honour in the Plays of Shakespeare's Predecessors and Contemporaries' by Edward M. Wilson; 'Some Sixteenth and Seventeenth Century Writers on the Plague' by Herbert G. Wright; 'John Wilmot, Earl of Rochester, and the "Right Veine of Satire" ' by Vivian de S. Pinto; 'The Augustan Pantheon: Mythology and Personification in Eighteenth Century Poetry' by Rachel Trickett; 'The Integrity of "Biographia Literaria" ' by George Whalley; and 'Language, Style, and the Anglo-Welsh' by Gwyn Jones.